Here is a summary of all the talks, releases and news from the Apple Tablet event today, i.e. Jan 27th, 2010. 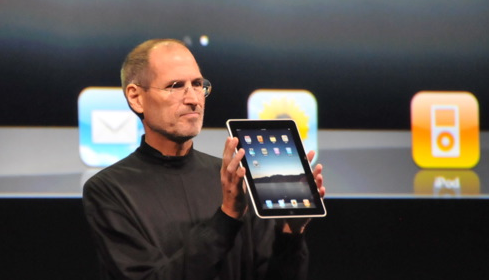 Steve Jobs revealed the new device iPad mainly, and there were few announcements about the software developments too. Check Apple iPad specifications and pricing! A few weeks ago we sold our 250 millionth iPod. We have over over 140k apps in the app store. And a few weeks ago we announced users have downloaded 3 billion applications. 15.6 billion in revenue. – 34 years after its start in 1976. Apple is over a 50 billion dollar company. Apple is the number one mobile devices company in the world! – Bigger than Samsung, Nokia and Sony in mobile device revenue and sales. Apple unveiled the Apple iPad device – Tablet device with features that excel more than an iPhone and nearly hits the Macbook range. Thin and build on Mac OS, it has all the features that a gamer, networking geek would need. Apple shows the demos of Google maps with streetview support, calendar and also displays the Apple iTunes Store and its changes, when compared to the Mac. Gameloft, a gaming company developed a game to show and check the experience with iPad, in just 2 weeks. Brushes, an art browser and painting app – Demo – Showing the possibility of this app to help art students to carry it anywhere and use it. Changes made to the iWork app, for the iPad device – Keynote, Pages, Numbers etc. changed to work better on the iPad (Navigating slides — holding down slides rearranges it. Tap multiple slides then do the move brings them as a bundle). Numbers – Create spreadsheets on the iPad without any usage of keyboard and mouse. iWork app for iPad costs $9.99. The pad can be connected to projectors with the help of a small cable. The iPad syncs over USB with iTunes exactly like an iPhone or iPod touch. So when you sync, you sync everything. Photos, music, movies, TV shows, contacts, calendars, bookmarks, apps. Data plans in US – 250MB per month for $14.99, and Unlimited plan for $29.99 per month.